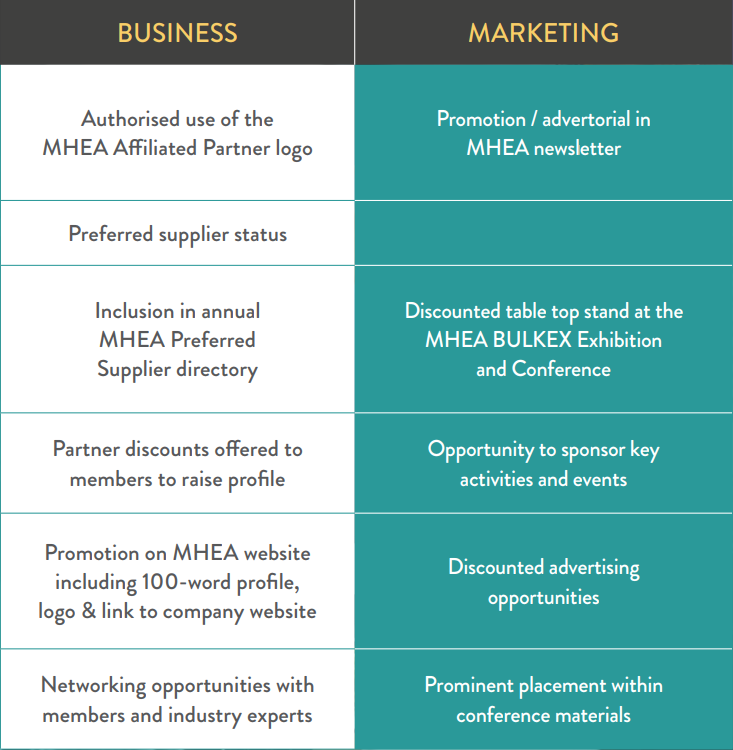 Affiliated Partners of the Association enjoy preferred supplier status and authorised use of the MHEA Affiliated Partner logo. They are part of a professionally diverse network that also provides access to a wealth of business-enhancing resources; industry-level promotion; networking opportunities; representation at events and conferences; knowledge sharing and best practice; education and professional development. MHEA Affiliated Partnership status provides industry suppliers with a recognised mark of quality-managed services.